As a Queen’s student, you will join a university that is truly international. In fact, we have been named the 24th most international university in the world and have students from over 82 countries, helping to create a multicultural and vibrant campus. We’re a member of the prestigious Russell Group, combining excellence in research and education with a student-centred ethos. 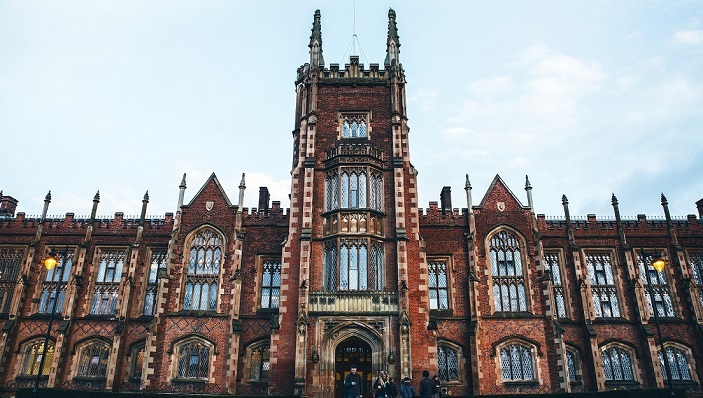 Our inspiring alumni comprises outstanding scholars, Nobel Prize winners - such as Seamus Heaney and David Trimble - and influential leaders who are making an impact in Northern Ireland and across the globe. Over 94% of Queen’s graduates are in employment or further study six months after graduation; our graduates are dominating senior leadership positions in 80 of Northern Ireland's top 100 companies and making a difference in over 120 countries. One of the UK's biggest campus universities, and the 9th oldest, we blend our proud heritage with cutting-edge facilities for the best experience of University life. Over 23,000 students live and study at Queen’s. Of those, more than 1,900 are from over 82 countries; including Malaysia, China, the Indias, the Middle East and the United States. We also employ more than 600 international staff drawn from over 70 nationalities. We offer a network of support services dedicated to helping you get the most from your time at Queen’s, looking after your health, emotional well-being, education, study needs, financial security and career prospects. World-class students require leading facilities. We’ve invested £350m in the last 10 years, with new additions opening all the time. A capital with a culture of its own. Enjoy everyday living among some of the friendliest folk in the world. Immerse yourself in the best of contemporary clubs, cuisine, culture and arts. 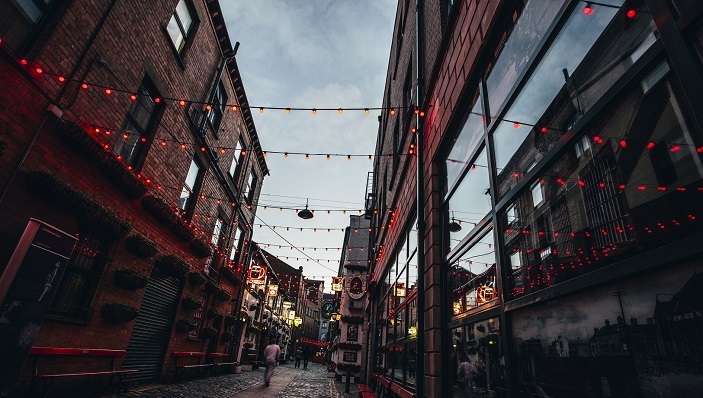 Queen's is at the heart of Belfast's culture, as well as its art and social scenes. We're proud to be part of a bustling, cosmopolitan city boasting a vibrant social life and rich cultural heritage. Offering a style of living reflecting the transition from home to university life. Our safe, modern accommodation also offers support, help and guidance on settling into student life in Belfast as well as the all-important space to live and enjoy student life to the full. Our Student accommodation and the Student Union will help you to meet and make friends with other students and feel part of campus life. Over 200 clubs and societies are a great way to meet friends, discover new talents, and get a break from studying. Q The Faculty of Medicine, Health and Life Sciences at Queen’s deliver high quality, leading-edge education, through world-class staff, focused on the needs of society. We provide an educational experience that is research-led and enriches our students intellectually, socially and culturally. Our hope is that students from around the world will join with us to both learn and also bring new ideas and approaches to help drive forward our ambitions to enhance and advance life.ueen's is at the heart of Belfast's culture, as well as its art and social scenes. We're proud to be part of a bustling, cosmopolitan city boasting a vibrant social life and rich cultural heritage. 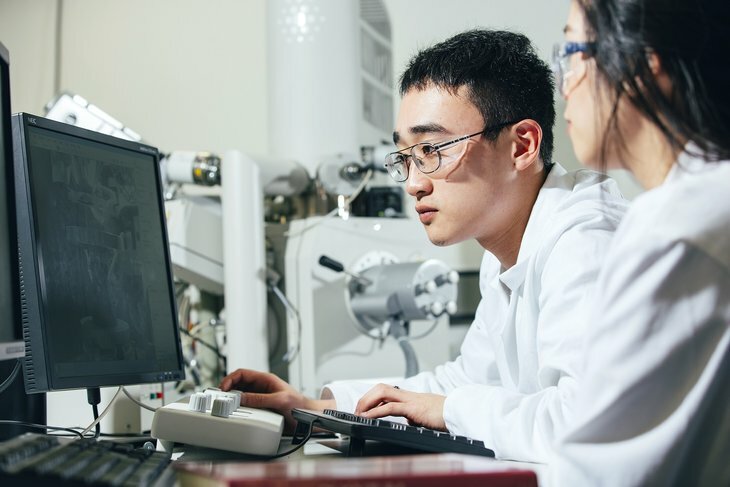 Through our education and research, we strive to address some of the world’s greatest challenges, our academic staff undertake world-leading research through our Schools and Global research institutes in Health Sciences and Global Food Security. This has resulted in new treatments for patients and greater levels of protection for the food we eat. Designed for students aiming to work in research, education, and industry in the life sciences sector, this MSc will provide you with an advanced understanding of current and emerging issues in the both Animal Behaviour and Animal Welfare and provide you with an extensive range of lectures in a variety of topics. Bioinformatics is developing software and algorithms to interrogate 'Big Data', now at the heart of medical research, discovery and practice. You’ll be looking at the big data to find patterns that others can’t see, gaining access to data sets that have not yet been analysed. You’ll discover results that translate to the real world, through commercialisation or clinical trials to tackle diseases. There is unprecedented pressure on the environment due to exploitation, habitat degradation and loss, climate change, invasive species, pollution and emerging diseases. You can be part of something to help address this.